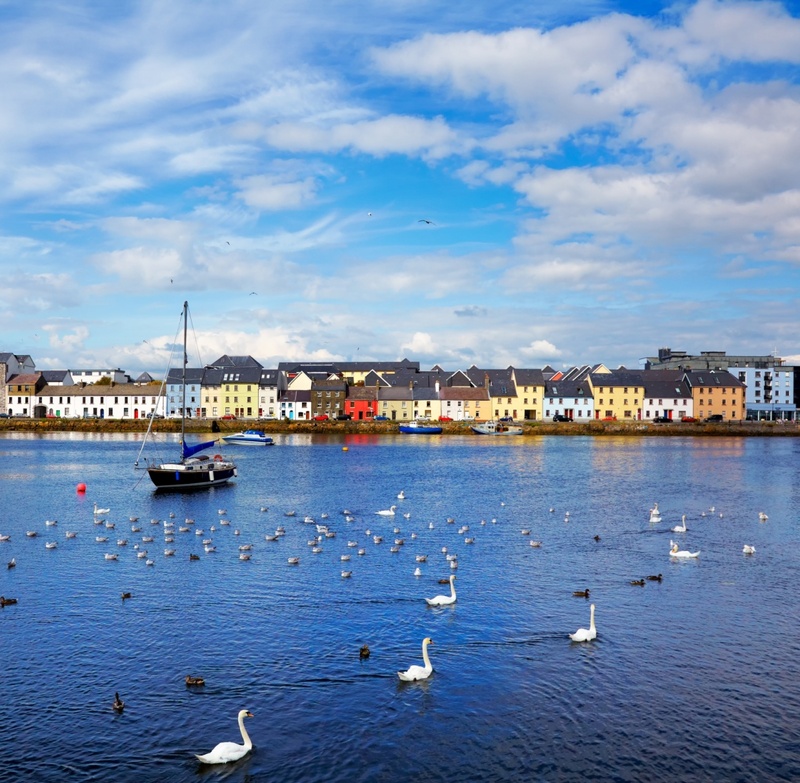 Galway, located on the western coast of Ireland, is the only city in the province of Connacht. The city was originally constructed as a walled fort in 1124 by Tairrdelbach Ua Conchobair, the King of Connacht. Starting in the 15th century, Galway was ruled by fourteen leading families, which has in turn led to its popular disambiguation: the City of the Tribes. Being such a large metropolitan area, Galway is of course filled to the brim with shopping, restaurants, and a boisterous nightlife. Walking southbound towards the Corrib from Eyre Square will introduce one to a plethora of boutiques, pubs, and unique eateries to suit any palate and every budget. Streets such as Williams Street, Shop Street, High Street, Mainguard Street, and Quay Street are bursting with local and international shops to appeal to anybody's taste and lifestyle. Nicknamed Ireland's Cultural Heart, Galway is bursting with a rich cultural history that easily can be seen from its ancient architecture. Founded in 1320, the Church of Ireland St. Nicholas' Collegiate Church is the largest medieval-style church that still sees regular use. Meanwhile, the city is also home to the National University of Ireland, Galway which was established in 1849. Galway also functions as a major travel hub for any destination in Western Ireland. The city is the perfect launching pad for a day trip to the Burren, one of the the most expansive karst-landscape in Europe. Home of rolling hills and limestone pavements, the Burren is the perfect spot for travelers wishing to get out of the city and bask in the fresh mountain air. The Cliffs of the Mother offer picturesque views of Galway Bay, while Corcomroe Abbey, founded in the 12th century, is the perfect spot for travelers wishing to submerge themselves in more of Galway's rich historical architecture. Find information about selected Hotels, apartments and rooms in Galway to choose the perfect place for your accommodation.